There has been a historic surge in U.S. traffic fatalities over the last four years as more drivers use their phones to respond to texts or scroll through Instagram feeds. Even parents can’t keep keep their hands on the wheel and their eyes on the road, new research shows. Half of all parents use their cellphones while driving with young children in the car, according to a study released Thursday by the Children’s Hospital of Philadelphia and the University of Pennsylvania School of Nursing. About a third of parents reported reading text messages, one in four sent text messages and one in seven used social media over the last three months while driving children between the ages of 4 and 10 in a moving vehicle. The above article is from Claims Journal and can be found here. At Gaspar, we recommend using “Do not disturb while driving” on iPhones, to minimize distractions while on the road. There are also many apps in the marketplace for iPhones and androids that have the same basic effect. We encourage you to find the best option for your device and needs. Please see below for instructions on using the Do not disturb while driving feature on iPhones. Tap Turn On While Driving, and it will turn on automatically when your iPhone connects to your car via Bluetooth1 or when your iPhone senses driving motion. You can change the method your iPhone uses to determine whether you’re driving, or turn the feature on manually. Now you can swipe up from the bottom of your screen and tap Do Not Disturb while driving icon to turn the feature on or off. Phone calls are delivered using the same conditions as standard Do Not Disturb: You can allow calls only from your Favorites, and allow calls to come through if the same person calls twice in a row. If your iPhone connects to your car via Bluetooth, calls will come through as usual, and you can use your car’s buttons, microphones, and speakers to take your call. You can customize how Do Not Disturb while driving works in Settings > Do Not Disturb. 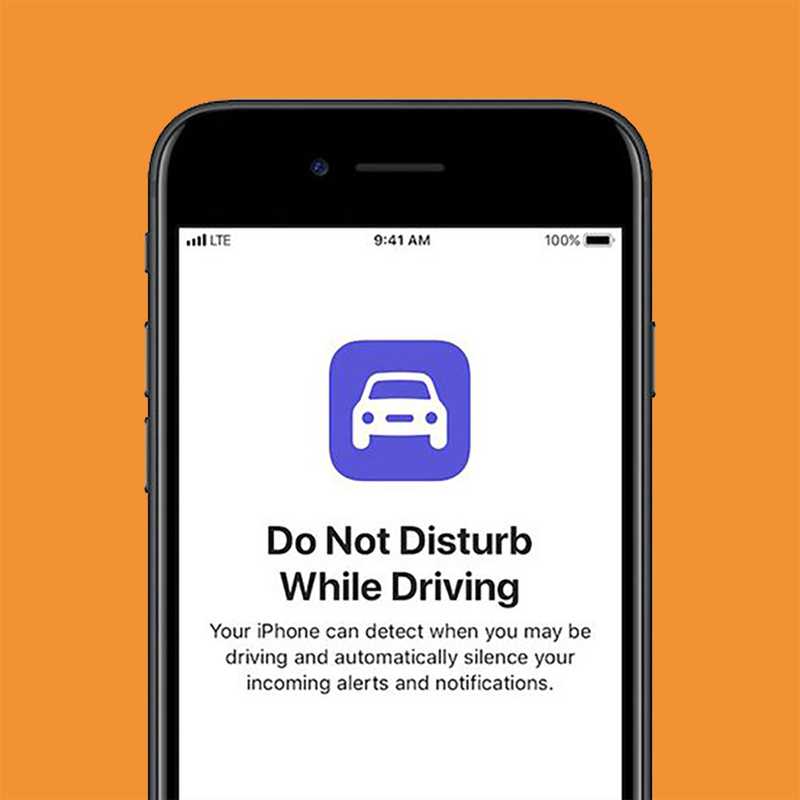 Automatically: Your iPhone uses information like motion detection and network connections to sense that you might be driving, and turns on the feature. When Connected to Car Bluetooth: Do Not Disturb while driving starts when your phone connects to your car’s hands-free system. Manually: Use Control Center to turn on Do Not Disturb while driving before you begin. On your child’s iPhone, go to Settings > General > Restrictions. If you haven’t used Restrictions before, enter a new passcode. Remember this passcode for any future changes. Under Allow Changes, tap Do Not Disturb While Driving. The above instructions are from Apple and can be found here.